Sidney Poitier remains one of the most recognizable black men in the world. Widely celebrated but at times criticized for the roles he played during a career that spanned 60 years, there can be no comprehensive discussion of black men in American film, and no serious analysis of 20th century American film history that excludes him. 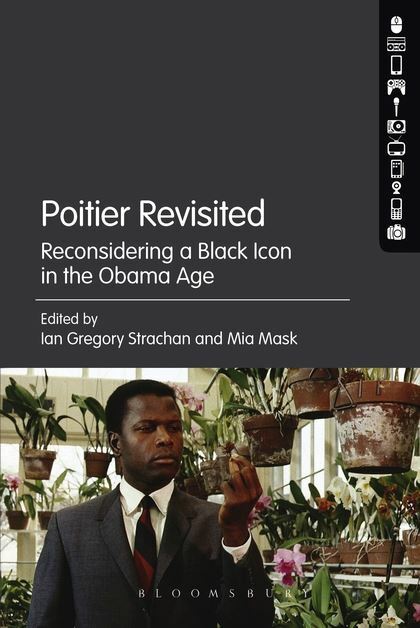 Poitier Revisited offers a fresh interrogation of the social, cultural and political significance of the Poitier oeuvre. The contributions explore the broad spectrum of critical issues summoned up by Poitier’s iconic work as actor, director and filmmaker. Despite his stature, Poitier has actually been under-examined in film criticism generally. This work reconsiders his pivotal role in film and American race relations, by arguing persuasively, that even in this supposedly ‘post-racial’ moment of Barack Obama, the struggles, aspirations, anxieties, and tensions Poitier’s films explored are every bit as relevant today as when they were first made. Tags: Belinda Edmondson, Bloomsbury Publishing, Emma Hamilton, Ian Gregory Strachan, Jeff Smith, Keith Corson, Kim Warren, Mark Christian, Mia Mask, Novotny Lawrence, Ryan De Rosa, Sidney Poitier, Troy Saxby, Willie Tolliver Jr.